Pendant lights are functional, versatile, style-laden, and occasionally pricey. 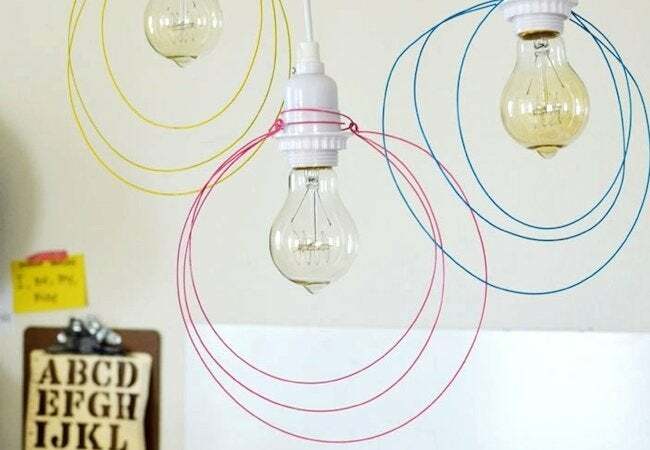 Make your own by purchasing a lighting kit and tricking it out with one of these creative pendant ideas. Nobody wants to spend time in a room with bad lighting, but how do you avoid it? Well, there’s strength in numbers: Outfit each important space with a variety of fixtures, so you can always match the room lighting to the activity you are doing. Pendants, one of the most popular types of fixtures, are also among the most practical, because they can provide either task lighting or general-purpose overhead illumination. They’re often stylish too, introducing a pop of personality to the decor. The downside? Pendants can be expensive. 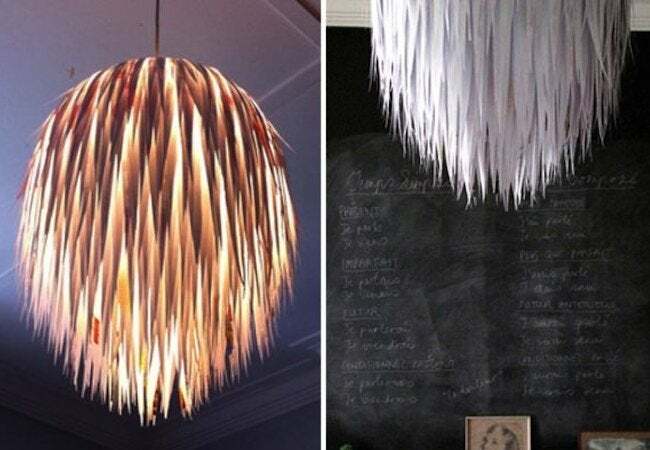 But if you like taking matters into your own hands, creating a DIY pendant light doesn’t need to be a costly affair. And the the results, as demonstrated by the favorite five examples below, can often be nothing short of extraordinary. 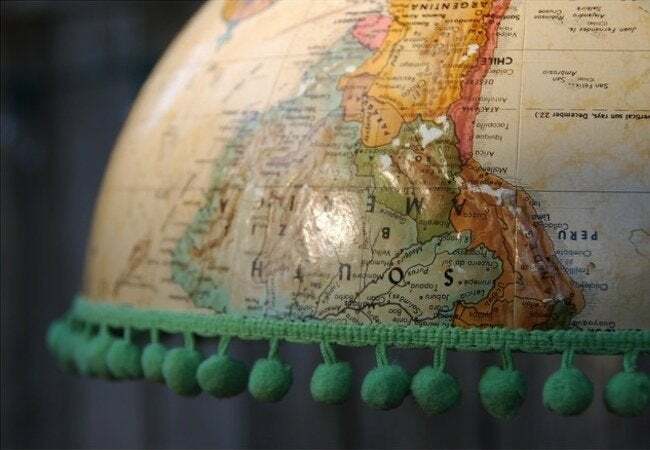 If you’ve got an old globe in your attic—or if you recently bought one at a thrift store—why not refashion it into a DIY pendant light? All you need is a lighting kit, the kind sold at local hardware stores. Halve the globe along the equator (where else? ), then decorate the cut edge with ball fringe—or don’t! The choice is yours. Here’s a project sure to provoke conversation among the guests at your next party. 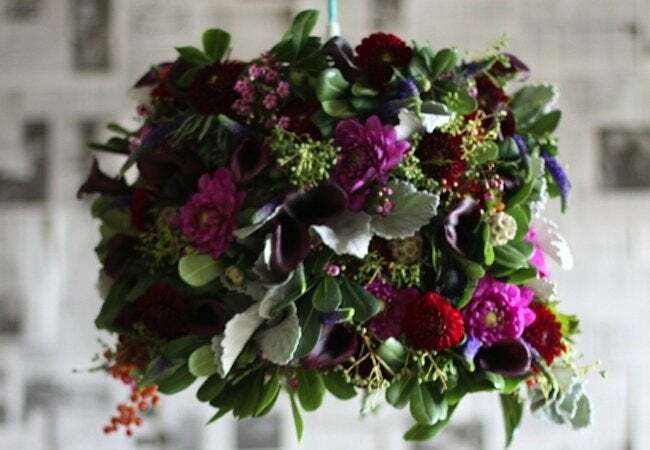 It’s a DIY pendant light festooned with flowers. To make yours, start out with a wire basket, then use wire to attach fresh or faux flora. Add a light socket and a low-wattage bulb before hanging the assembly over the bar or buffet table. Wow. The unique look of this striking DIY pendant light springs from an unlikely source: scraps of paper. Because wastepaper comes in so many colors and textures, there’s virtually no limit to the designs you might achieve with a set of basic supplies—scissors, glue, and a simple, dime-a-dozen white lampshade. Cage lights are a common sight on construction sites, and they are also popping up in the homes of those who love industrial-style decorating. Here, A Beautiful Mess offers a modern, minimalist take on the cage light that features three strands of spray-painted wire looping around a sculptural incandescent bulb. 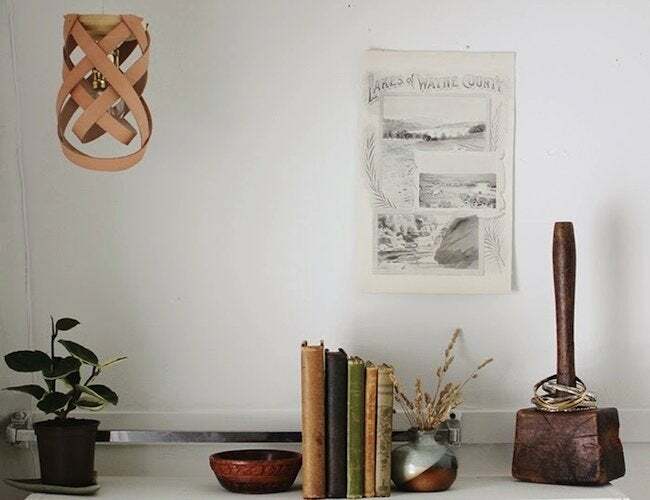 It’s not necessarily going to take hours and hours, but in order to complete a project like this—a leather DIY pendant light replete with subtle sophistication—you’ll need to do two things: one, plan out the project before you begin, and two, execute some tricky maneuvering of the material. Easy? No. Delightful? Absolutely.